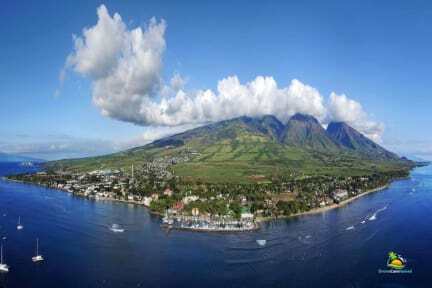 Hakuna Matata is the best Hostel in Maui to stay, the best location on Lahaina and a relaxing Maui style. You will find a common kitchen where you can cook your own meals we also have common areas indoors and outdoor where play board games, read a book, or just relax and enjoy the ocean view from our backyard gardens. We have bicycles, surf boards, kayaks and beach equipment for free to use to all our guest, enjoy the aloha. We offer accommodations in female dormitory room and mix dormitory room as well as private rooms. All of our rooms have air-condition. Location is our best amenity! Located on the west side on the island of Maui in the heart of Lahaina on the famous Front St, the most popular street in Maui where you can find many shops, restaurants, activities, historic sites, bus stops and so much more. 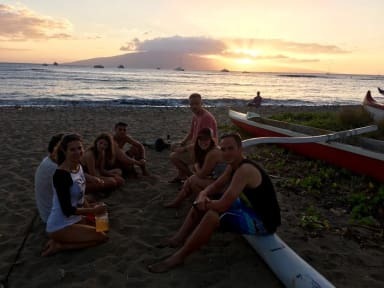 We're also located 1 minute away from the beach and surf spot where you can spend all day relaxing, playing volleyball, surfing, kayaking or just enjoying the beautiful Maui sunsets with the convenience of being at home. -The guest can cancel free of charge until 3 days before arrival. -The guest will be charged for 1 night if cancel in the 3 days before arrival. -The guest will be charge a prepayment of $1 by Hakuna Matata Maui for verification purposes. -The guest is welcome to use the property, facilities and equipment if arriving before check in time. -The guest is welcome to use the property, facilities and equipment if leaving after check out time. Get 5% Off When You Pay Cash!